How did hunters kill their prey? The predatory dinosaurs had to kill to stay alive, and they developed different methods and weapons for efficient hunting. Once they had moved in for the kill, they would have used teeth, claws, and powerful jaws to dispatch their victims. 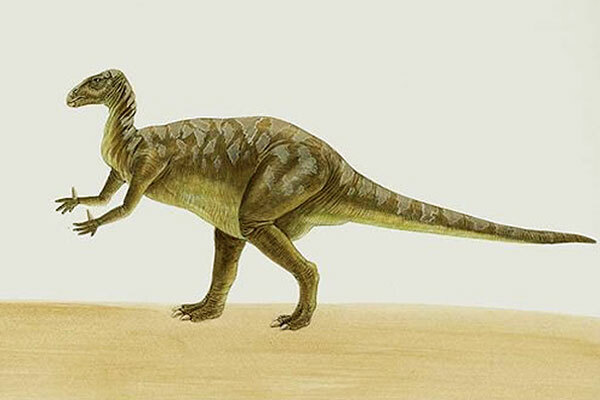 Small carnivores generally relied on speed and agility to capture their prey, but when the target was a big dinosaur, such as Tenontosaurus, they may have attacked in packs. Did Deinonychus have killer claws? 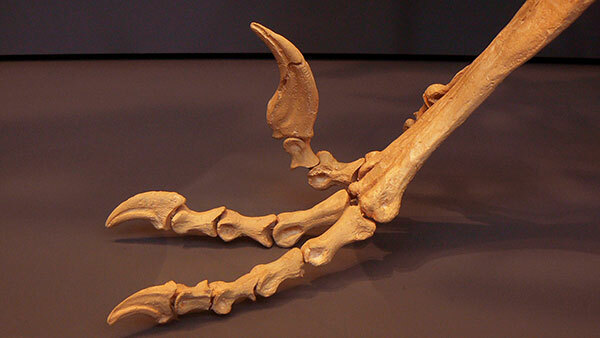 This hunter wielded a large, sickle-shaped claw on the second toe of each foot. Experts think that Deinonychus held its prey with its hands and jaws, and slashed at its victim with one razor-sharp claw until the unfortunate creature was dead. Did hunters stalk their prey? The more intelligent predatory dinosaurs may have stalked their prey, waiting to pounce in a moment of weakness. A lone herbivore, such as this Iguanodon, would have been at risk from stalkers such as Neovenator. To attack a dinosaur in a herd, the stalker might have separated a weaker animal from the group before moving in for the kill. What was a killer’s main weapon? The large predator’s ultimate weapon was its jaws. They were massive and incredibly powerful. Specially designed “windows” in the skull made it lightweight without losing strength. 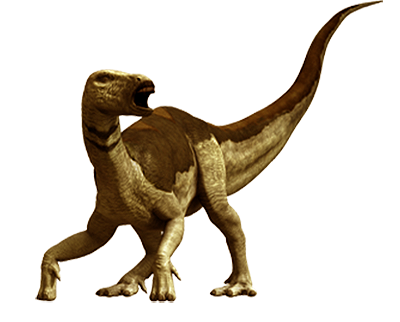 Allosaurus’s jaws were flexible, allowing it to open its mouth wide enough to swallow huge mouthfuls of flesh – perhaps even an entire creature. How were curved fangs used? 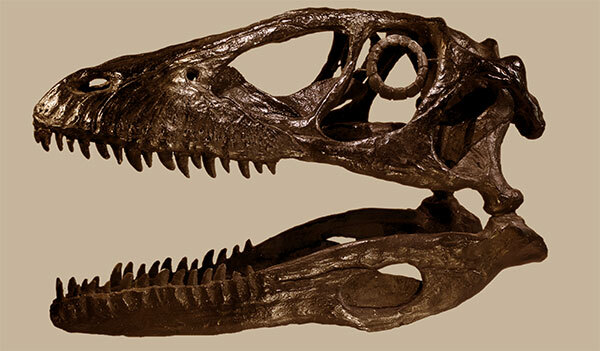 Predatory dinosaurs such as T. rex had teeth that curved inwards. These were designed to give the predator a better grip on its victim. The angle of the teeth prevented an animal from struggling while the dagger-like points pierced its flesh. If a dinosaur lost a tooth in battle or in an accident, a new one grew to replace it. Deinosuchus, a huge alligator, was capable of feasting on large dinosaurs. 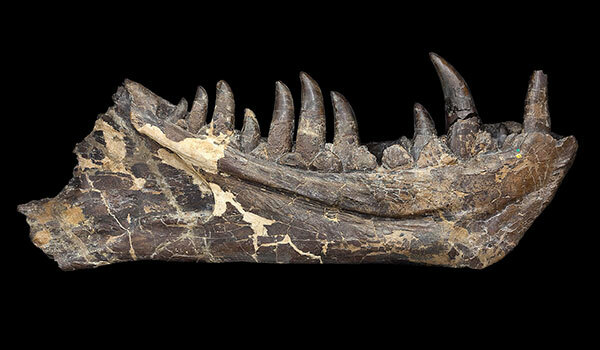 This massive, river-dwelling reptile’s skull alone measured 1.8m (6ft). Giganotosaurus may have slammed into its victims to knock them out with its body weight before tucking in. Once a big theropod had gorged itself on a kill, smaller predators might move in to strip the bones of flesh. Dinosaurs’ teeth survive well as fossils because they are the hardest part of the body and least subject to decay. 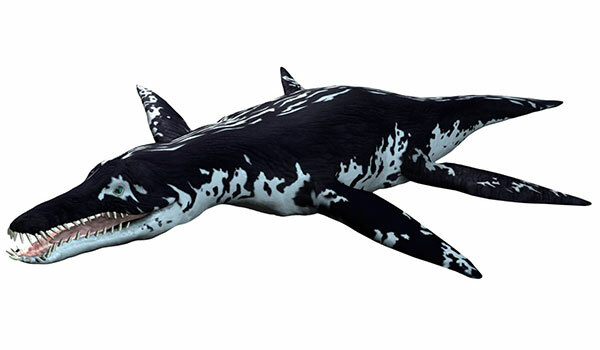 Marine carnivore Liopleurodon may have been able to sniff out potential prey by swimming with its mouth open and “smelling” the water that passed into its nostrils.